Create a resort-like atmosphere in your outdoor space with this elegant seven-piece conversation set. 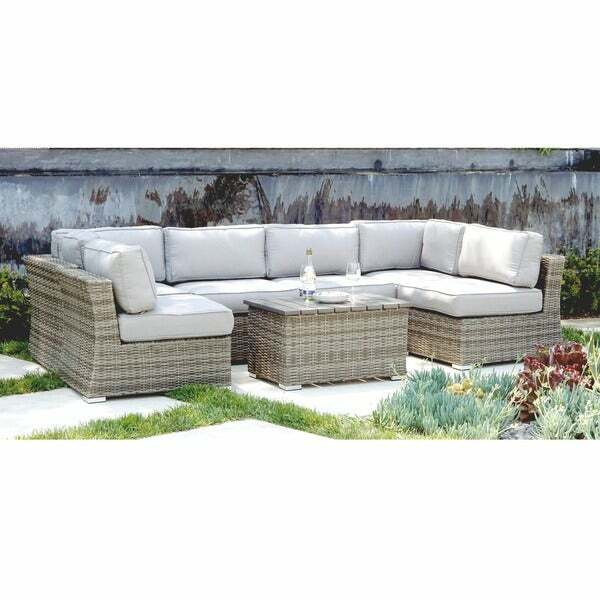 Thick cushions offer superior comfort, while the aluminum and wicker construction holds up well over time. Trendy lines and cool colors make this set the perfect way to add comfort and style to your patio. "Do you have dining set to match or chair cushions that would match my set?" Unfortunately, we do not currently have a matching dining set, or additional matching cushions.